Can you believe it has been 23 whole years since Snoop Dogg released his track ‘Gin’N’Juice’? Well it is, and he wants to make that very drink to be ‘cool again’. You know, because people don’t roll down the street, smoking indo and sipping on gin ‘n’ juice as much these days, it’s all sippin’ on Patron, drinking Cristal and purple drink or whatever. And, as part of his cookery show which he hosts alongside Martha Stewart on VH1’s, Martha & Snoop’s Dinner Party, he invented his own cocktail – ‘The Laid Back’. 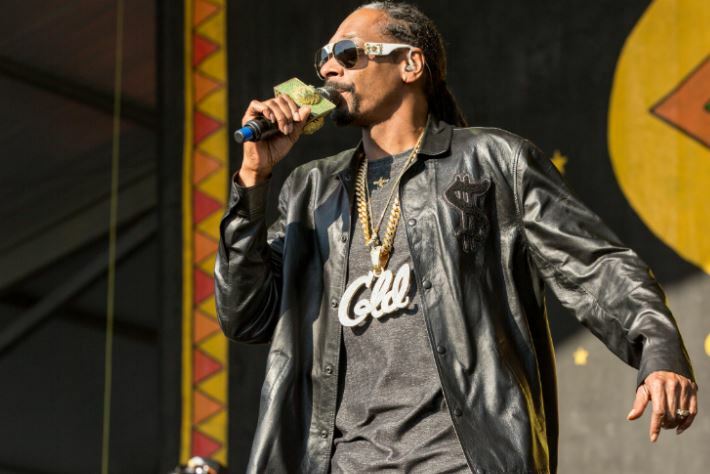 Snoop and Martha featured on the Ellen Show at the end of last year, showing viewers how to make the perfect ‘Laid Back’ – which consists of one part Tanqueray Ten, one part P Diddy’s Ciroc Apple Vodka, two parts pineapple juice, topped with club soda. Snoop explaining why he decided to set up shop with Tanqueray and his reason is quite brilliant. I didn’t do the brown, man, ’cause I’m brown enough. Too much brown [alcohol] ain’t good enough for you. The worst hangovers are with the brown. The ones that you be like, ‘Oh my God, I’m never gonna drink again!’ You never got those with [clear spirits]. Tanqueray has always been good to me and we never really had a working relationship. I would order bottles and they would look out for me because of what I’d said on my song and whatnot. So I never had a relationship with them, and once their people got at my peoples, we forged a relationship and there were things we wanted to do to enhance it. Now who’s down for a couple of laid backs?